Each property also has a name. Unlike the client ID and client secret, however, the name is not used for authentication purposes; in fact, you can rename a property any time you want. 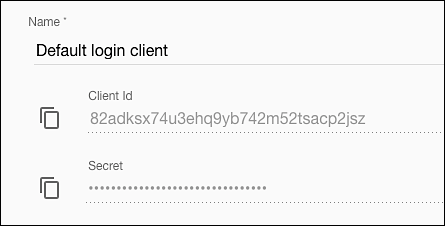 As we’ll see, you can also reset a client secret any time you want.